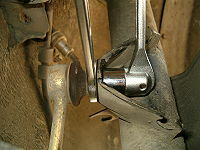 The front stabilizer bar links shall always be replaced in pairs. They are easy to replace and you must anyway raise both sides of the car - so there is no real excuse why not replacing both. 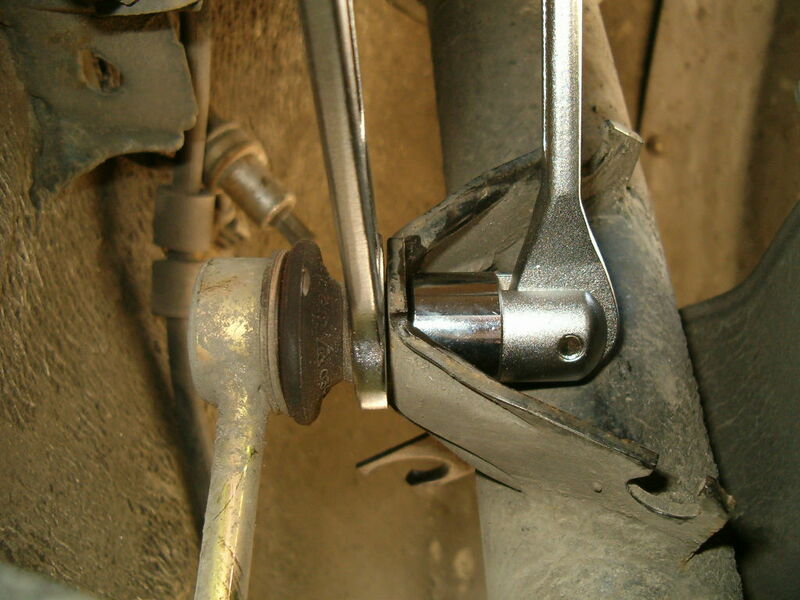 The spare parts consists of two stabilizer bar links and four self-locking hex nuts. Do not reuse the old nuts - buy new instead (which by the way is a lot easier to work with than the old rusty ones). Do not - under ANY circumstances - work under the car without securing it with jackstands and choked wheels! 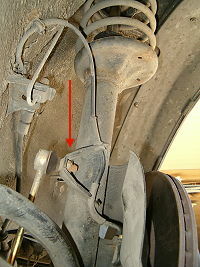 Remove both front wheel to gain better access to the front stabilizer bar links. You need to raise both wheels from the ground - otherwise you will put load on the stabilizer bar and will make the removal harder.